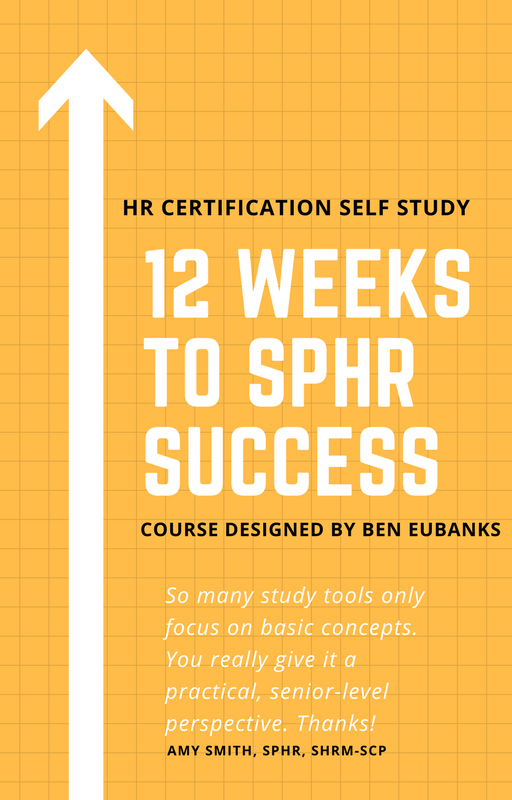 Instead of going through yet another basic PHR-focused study course, why not take a course that is tailored for the SPHR exam? With case studies, strategic insights, and other content, this course was designed to help YOU learn, understand, and apply the principles that the SPHR exam covers. This not only helps you with exam prep--it helps you become a better HR professional. Check out the link for more information on what is included in this 12-week course.